I visited Stockman’s Restaurant for the first time today with my mother. My mother commented to me the minute that we walked in, “This looks like a great place for ranchers and cattlemen.” No doubt about it. The name “Stockman” is not false advertising. The decor is big, grand, and spacious. Wild game heads are mounted on the walls. Big, peeled logs rise up as support beams. Welcome to the ranch where you can settle in to a cozy, side booth or belly up to a central wood table and order “all-you-can-eat” steak. I ordered a Teton Mountain Burger. Not bad. And the special fry sauce came with a spicy zip. My mother ordered chicken topped with an Alfredo sauce containing shrimp, cod, and crab. She selected sweet potato fries as a side. Both entrees were designated as house favorites. 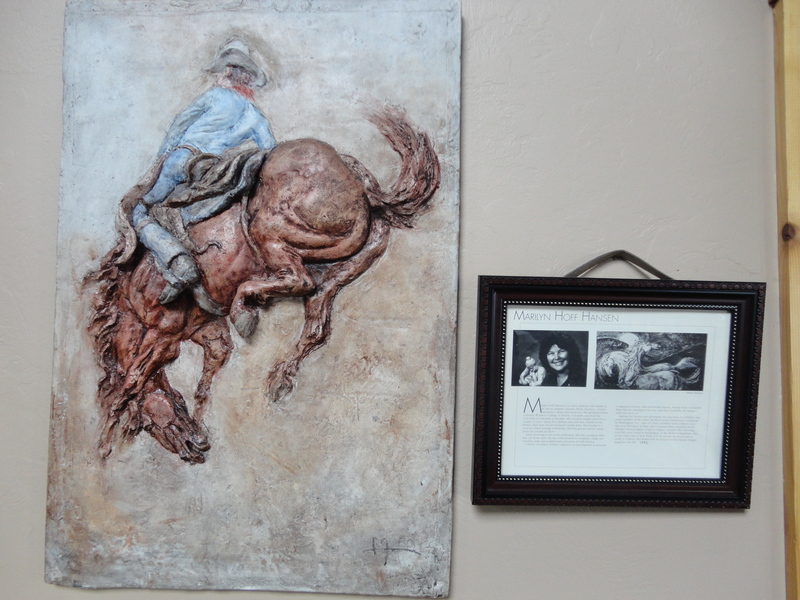 A nice touch at this restaurant is Marilyn Hansen‘s artwork spread throughout the place on the walls. 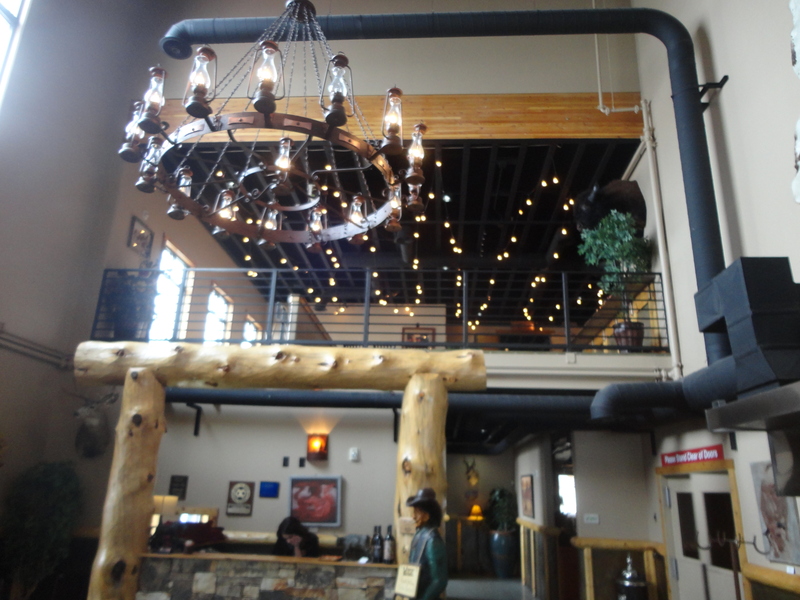 For hearty grub for the working man, go to Stockman’s in the budding Snake River Landing on the West bank of the River in Idaho Falls. Check ’em out on facebook. 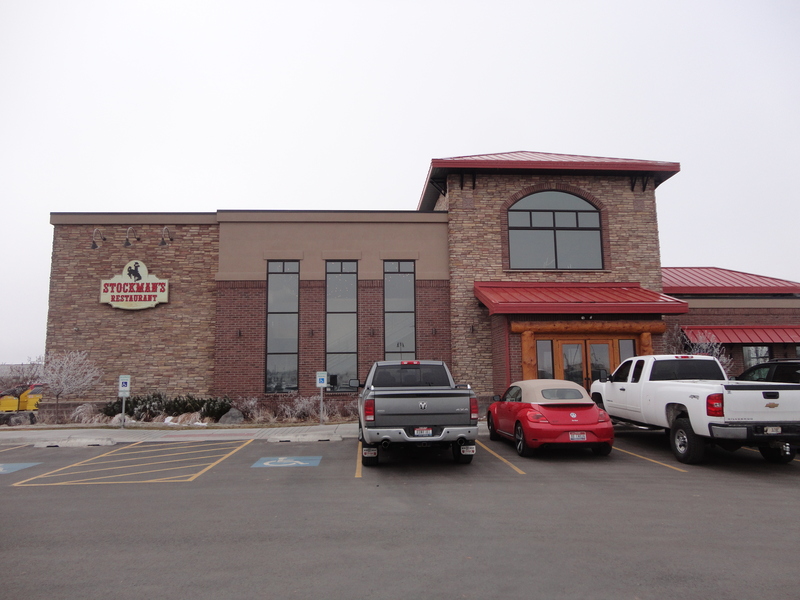 This entry was posted in restaurant reviews and tagged Idaho Falls, seafood, Snake River, steak, Stockman's Restaurant. Bookmark the permalink.